Cambridge Institute of Allied Health & Technology currently has three fully accredited campuses in Altamonte Springs, near Orlando, FL; Delray Beach, near West Palm Beach, FL and Atlanta, GA that provide certificate programs in many of the Nation’s leading healthcare fields. We at Cambridge Institute use this partnership to continue to build on our core mission of creating learning facilities that focus on student-centered teaching methods and vocational training to empower future professionals to be successful in their prospective careers. At Cambridge Institute, we have three campuses located in Georgia and Florida that offer multiple allied health programs that provide students with all of the mandatory training needed to start a new and rewarding career in the healthcare field of their choosing. 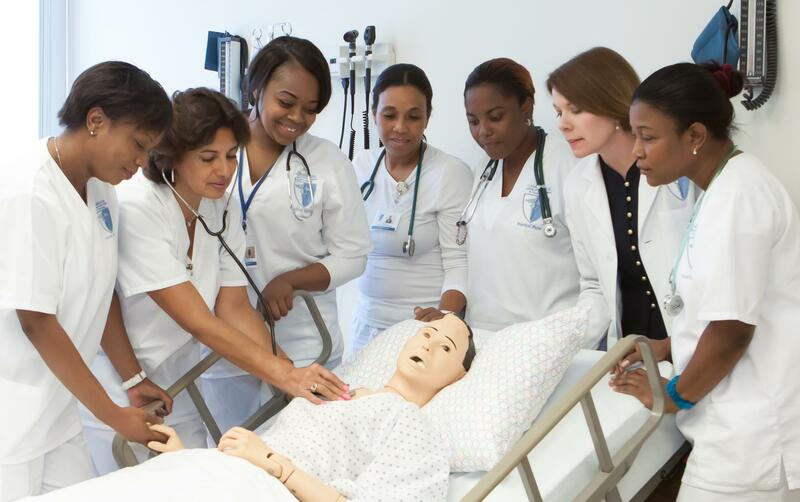 Our staff consists of some of the most respected health care professionals in their respective fields and our teaching methods rely on industry current machinery with relevant clinical rotations to ensure that our students are prepared to take responsibility and pursue success once in their new jobs. Regardless of which new career in the field of healthcare that you would like to pursue, our dedicated staff can work with you every step of the way from admissions until graduation and beyond to ensure your success as a healthcare professional. Contact us today to see which field is right for you and begin your journey through any one of our institutionally accredited allied health schools.